Hopefully people will consider that the next time they are thinking, "but it's just a piece of bamboo, why does it cost so much?" It's not the American makers I question that with. At least on Ebay the highest I see Perry's going for is just slightly upwards of $1000, and the average price is very reasonable, even for just a chunk of bamboo. It's the $1000-$5000 and higher Japanese instruments I'm skeptical about. Some of the pictures I've seen of the workshops suggest that they're cranking these instruments out with some good volume. 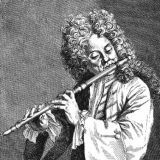 Like John Singer says on his website it's not like the old days when players made and distributed a limited number of well made flutes. But pricing of anything is a very mysterious thing. There's enough technology in my car door that makes me think it should sell for the price of the car itself. Whatever the market will bear is what something is worth, regardless of the item. in fact that i wanted to say but you pointed it better. If the production quantity is less than 20,000 pieces we would not be interested. I know a French company with a factory in China MAPED (Kunshan China) makes this type of plastic flute for schools. As a guy fairly knowledgable about molds, I can tell you that doing this via a manufacturer is probably NOT the way to go. I'd actually be a little surprised if the Yuu is made in a real factory. It's the kind of thing that could very easily be done by one person, maybe two. There's ........................, but the bore puzzles me just a bit. Once these guys tell me how it's done, I'm sure it'll click. It's definately not injection molding, as far as I can tell. I also wouldn't trust a factory due to the fact that they probably wouldn't have the same quality control as you'd have on your own. You'd probably still have to do a lot of finishing work. As far as resin goes, playing around with different mixes is the way to go. I think I could figure out an excellent mix. .....The solution you are looking for is not easy or cheap. The walls of the 2.2 (my longest shakuhachi) aren't very thick at all. I know that's not representative of all of Perry's flutes, but a lot of them seem to fit the same description. BTW, you apparently presented the person who gave you this answer with some plans. I'm still curious, are they of a jiari or a jinashi instrument? Jinashi by its nature will have thinner walls when you subtract that layer of cement. with the money is ok, hot or cold molding still to decide. today recieved the price for the mold made in china and is acceptable for me. still many things not clear,ABS resin- clear, how will they copy the bore is not clear,the weight of the shakuhachi not clear,the price of a piece not clear,without fingerholes-this is clear to lower the price,2 piece for portability is quite clear.colouring is not so clear if can imitate well bamboo or will look like the yuu,so it seems we can go this way. will wait to clear the cold casting/silicone mold clear,liquid plastic and price not clear./ here waiting for kyoreiflutes . 1. "two piece for portability" is overrated. A one piece 1.8 is more beautiful (to my eye), still small enough for any hand or backpack, and never has any leakage/maintenance issues. I'm working on it, no worries. And I think I know how to make a simple mold for this, believe it or not. In fact, I know TWO ways to make a mold for this, but one's a bit on the esoteric side, and would probably require a trip to San Fran for the weekend. But man, would it be THE coolest way to make a mold ever, and wouldn't hurt whatever flute we used. In a way, both are simple, but one is simple, highly accurate, but a little pricier to start with. But not that much. I'll have to think about which one would produce better results. There would be some finishing work to do, for sure, but not that much. Probably utaguchi and seam work, possibly some hole work. If we went with the 2nd approach, we could probably mold 3-4 at a time, depending on a couple of things. Edosan, you'd be surprised what can be cast without injection molding. In fact, not a single person I know creates replicas using injection modling, since it's a huge start-up cost. So they've found ways to cast and mold stuff in other ways. Yeah, it's possible that Njalor makes the Yuu in a factory with Injection Molding, but I guess what I should've said is that WE don't need to make THIS one that way. I have a LOT of experience coming up with different ways to cast strange objects, and I know this can be done. Costa, would you rather take this to email and discuss details? Oh, and Brian, you hit the nail on the head. While it's not that hard to make a very playable, simple shakuhachi, it certainly takes much longer to create a truly beautiful one that will last a really long time, with paste and fine tuning. There's also the time it took to aquire those skills in the first place; it often goes unpaid, and drains the accounts of those of us who jump into it. But it's a lot of fun. in my oppinion i wouldnt split in 2 pieces 2.4 if its for me but you know the people would disagree with that and would be more difficult to cast i think. I see. I missed the 2.4 aspect. Sure some may prefer such a length in two-piece, I suppose. That's a great choice of length if it gets mass produced because it's significantly lower in pitch than a 1.8 but not so long to exclude too many people because of their arm and hand dimensions. will please those of you who has 2.4 tell me the weight of your shakuhachi? especually if they are a bit wide bore and fatter? Hi, this sounds like a great project (should probably have its own thread though!) - I'll deffinately have one fiit comes off. I'm curious though as to why molding seems to be the only option being considered, as has been pointed out you need to make alot to make it economical (by the way, Nihon Conductor Corp make the Yuu). Correct me iff I'm wrong but wouldn't a "rapid Prototyping" type outfit be able to make the sort of run numbers being talked about cheaper, they would just need to be provided with CAD models of an "ideal Bore" and hole layout, as I understand it these CAM based setups can manufacture to within very high tolerances; comparable to anything produced by casting, once shrinkage etc are figured in. The material could then be pretty much anything, Resin, Aluminium, Steel - Dstone could have one in Jade if he can come up wit a block of Jade big enough! The idea of Cad/Cam sounds good. You obviously know more about it than me, but I remember someone who shelled out less than $2000 for a numerically controlled milling machine and a laptop and was doing some stuff I found impressive, so I have a little understanding of what you're suggesting. However, I'm still wondering why no one has addressed what the "ideal bore" is. 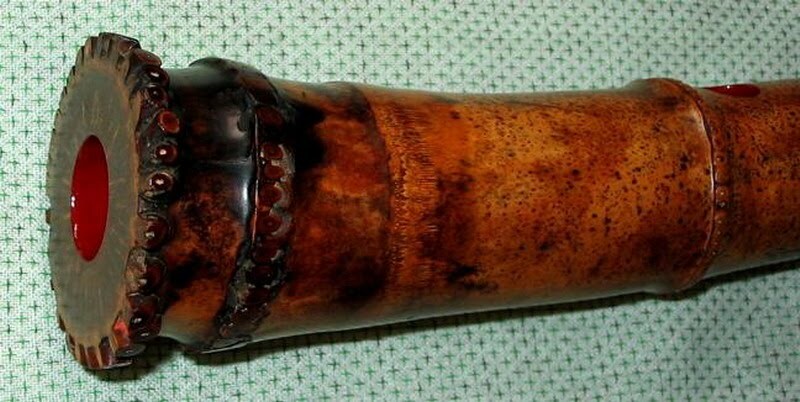 If it's a smooth surface the tooling wouldn't be all that difficult, but I'm inclined to think that the smooth bore is a major contributer to the "plastic" sound that some of the participants of this tread have expresed a dislike for. If the bore is to simulate a Jinashi instrument, the bore will be difficult to tool, and I'm not even sure how it could be cast. Two halves maybe, but then forget about creating the mold from a good instrument without harming it. If these guys decide a smooth bore is good enough, you may have come up with an idea that would make this pipe dream possible. I don't want to give the impression that I'm an expert on this stuff (well anything really! ), I just have ecclectic interests. I'm hoping that others may know more than me. As to the finish of the bore, if made from Ali, say, then a "brushed" type finish might be better; Or the bore could be milled at .5mm wider than reequired, that would make it great to experiment with differently textured coated finishes, Imagine a few flutes, identical apart from the grain size, or texture of the coating, as near to a definative test as I can think of. hi, for the moment i am also in the rapid prototyping either with a mold or just the product. but there are some small technical issues or price issues so for now just waiting for the answers of some companies. in fact there is not any problem to be ordered today and for 3 days to have 100 pieces but the price would be unacceptable. so should be found cheap and reliable method. but as i say for now the biggest question for me is the original shakuhachi. everything else is technical stuff. Costa and I are discussing rapid prototyping using Solid Plastic printing. More details will come soon. I guess if you have enough time, money and desire to see "If it can be done" it might be interesting, but if the idea is business related, well.... looks risky to me. hi,no we are not reinventing the wheel,and its not for buissiness purposes, just for the sport and to make some cheap long shakuhachi. in fact more and more i think i would go to the cheapest method and do it at home.investing work and not money, but i would not make the mistake of comparing the quallities of 100$ shakuhachi and 3000$ shakuhachi. there should be any difference dont you think? Are you re-inventing the wheel? There are any number of very acceptable plastic and hardwood shakuhachi that will get one started at a reasonable price. The way the idea of manufacturing a new instrument started was that a Taraiku was looking for a plastic instrument similar to the Yuu but longer so that students could be introduced to longer instruments at a very affordable price and that they'd all be the same length and of consistent and reasonably good quality. So it's not re-inventing the wheel. Even if it turns out to be not possible due to cost, so far I've learned from the thread. A profound voice of reason. Ain't none, never will be. Most shakuhachi players are in Japan and most are very conventional 1.8 people. Japanese do not readily accept non-Japanese products related to their traditional arts. So that leaves the rest of the world. Most of them are also conventional 1.8 players. But it looks like Perry and Ken are selling a decent number of jinashi long flutes to westerners so who knows maybe we can start a trend. Look how karate and aikido have taken root in the West. We must remain optimistic, maybe it will take several generations or even centuries. Still short in the scheme of shakuhachi history. Remember the shakuhachi came to Japan from China. It can migrate.